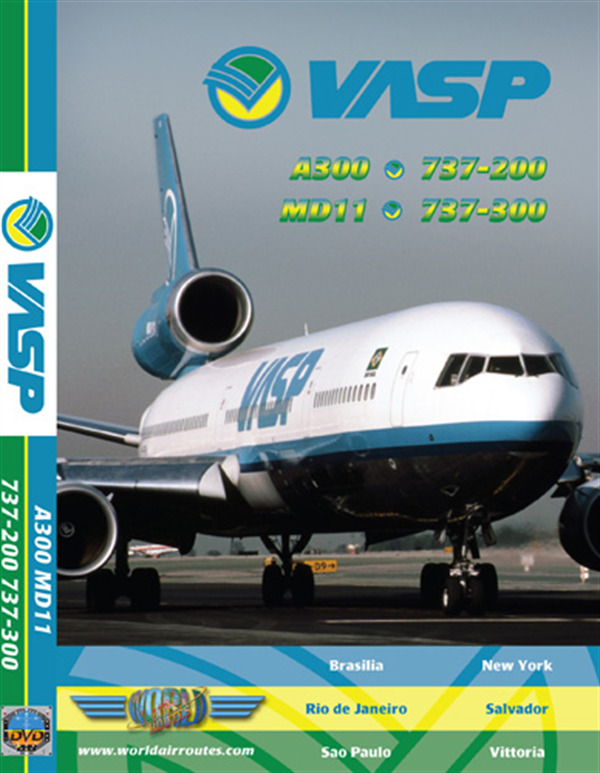 VASP, at some point Brazil's 2nd largest airline, operated in 1933 on domestic routes. It was instrumental in starting the Rio to Sao shuttle and later started international routes to North America, Africa, Asia and Europe. VASP ceased operations in 2005.In 1996 Just Planes released Flight in the Cockpits 9 and 10. FC9 showed flights on the 4 types of aircraft in operation on a variety of flights to 6 destinations while FC10 focused on the MD11 route from Sao Paulo to New York JFK.